It is a pleasure sharing a few words about my son.He has completed his Bachelors in Mechanical engineering from Nanyang Technological University(NTU, Singapore) and is currently working as a Software Engineer. He is passionate about the Tech industry and constantly studying and researching on new technologies.He also loves travelling and photography. . 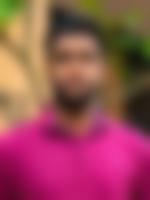 He is fluent in English, Malayalam and Tamil but prefers to converse in English. He can also converse in French, German,Hindi and Malay. We belong to an upper middle class, nuclear family having moderate outlook. His father has retired while his mother is a homemaker. He is the single child to his parents.